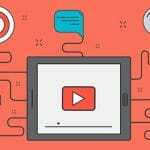 How to get more views on YouTube – Are you in search to find the ways to get more views on YouTube? 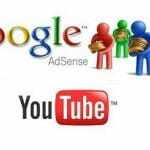 Do you want more traffic drawn towards your YouTube account? If yes, then you are probably at the right place. YouTube is now one of the best places to be in. You can easily reach your target audience because of the huge percentage of people using it on a daily basis. 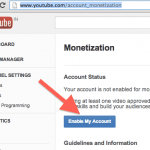 So, here we will discuss on how you can get more views on YouTube. Many businesses and people have become famous and earned money because of the YouTube videos. Reason being a large amount of the population uses YouTube on a regular basis. If your video is creative and unique then nothing can be a hurdle from getting you more views. Using good descriptions, titles and tags are some of the methods you can ponder on to get more likes. 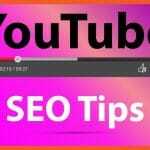 There are so many tips that you can follow to increase your views on your YouTube videos. 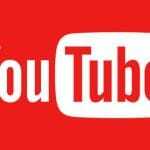 If you are a beginner and want to increase the views and traffic on the videos then below mentioned are some of the steps or tips you can follow. Following these tips, the right way will definitely bring you more views. This is the perfect place to use specific keywords. If you want people to find you instantly then you really should concentrate on the title of the video. Most people commit the mistake of not writing a proper description for the video. This often results in misleading people that can eventually reduce the views. Therefore, next time you upload a video on YouTube do not forget to add the relevant description with keywords to get the positive results. An appealing title and a well-written description will do all the work for you. If you share your video instantly after posting then you are most likely to get more views than waiting for it to share for a week. Think of your audience and relate to them. Timing is everything, so choose the best time to share it on every social media platform. You can also email the video to every known person to you. But nothing can actually beat the power of social media. Sharing videos smartly on social media platform can get you many likes and views instantly. You can also use a blog or website to share your videos to get better and fast results. If there is any kind of distraction in your video on YouTube then the chances of getting views are very less. People are extremely picky these days. If the video loads faster then people will continue to watch it. Music, lighting, effects, text information etc. everything should be beyond perfect to grab the most likes on your videos. You can also add bloopers or extra edits in order to get more likes and views. Annotations are an amazing way to increase the views instantly. Also, getting subscribers is an excellent and effective way to increase the views. If someone subscribes to your videos then they get notified whenever you post new videos. Ask your viewers to share and like the videos. Create a playlist of your videos. Also, do not forget to be nice at the end of the day. Comment a lot because this way people feel appreciated. 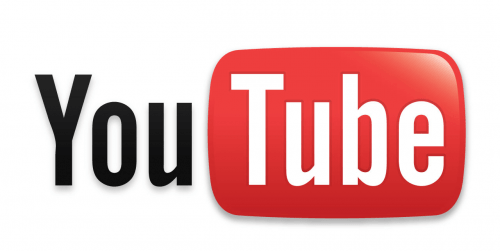 YouTube has gained a lot of popularity in the recent years and for all the right reasons. People get the most craved attention here with their unique and creative videos. Getting views on YouTube is easy if you are following the right path. For beginners, it might get difficult but if you will mold your videos as people want them to watch then you will get maximum no. of likes effortlessly. So, I hope this has been useful for you in some way or the other.